On Tuesday, May 14, 2013, Polyphony Digital unveiled the next iteration in its long-running driving simulation franchise, Gran Turismo 6. We’ve done you the favor of gathering everything we know about it and putting it all in one place. You’re welcome. While Gran Turismo 5 featured just over 1,000 cars at launch, GT6 is set to launch with a roster of around 1,200, with more to be added via DLC. While several of the cars in GT5 have a few customization options, this is not true for the vast majority of them. Designer Kazunori Yamauchi has set out to rectify this, stating during the 15th year celebration where GT6 was unveiled that there will be “several thousand” aerodynamic parts available for a wide range of vehicles. This will help the famed series to compete with Forza Motorsport in this respect, which has been undeniably more robust in its customization features. Much criticism is heaped upon GT5’s premium/standard car split, which in some ways makes it simultaneously the best looking and worst looking game on the PlayStation 3. To make matters worse, the 800 standard cars can only be obtained through an unnecessarily obtuse “used car” dealer that rotates vehicles out a few at a time. While standard cars have remained in GT6, it appears at least a few have been given the premium treatment. Of those unfortunate enough to not be fully updated there does seem to be a bit of extra polish to make them a little less atrocious. There are 33 locations with 71 layouts in GT6, and the developer plans to release a brand new track as downloadable content every month. The course designer uses a new course creation algorithm and has also been updated to allow players to create tracks with terrain visible for “tens of square kilometers.” One of the locations available for players to use as a backdrop is Andalucia, Spain. Polyphony Digital announced a new partnership with Yokohama Rubber and KW Automotive allowing them access to real-world data for use in recreating authentic vehicle characteristics in game. 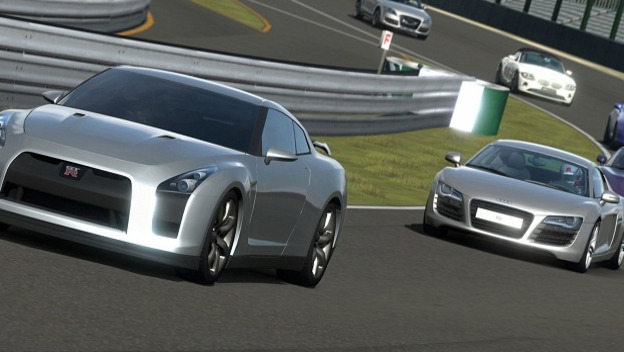 They showed a side-by-side comparison between the old model on GT5 and the new one, and though the differences were subtle, they had a big impact on the track. One oft-repeated criticism of GT5 is that there is a great driving simulation there if you are willing to dig through the horribly realized user interface. A much simpler, streamlined experience was on display at the event showcasing, and it showed, if nothing else, a willingness to improve the experience off the track. You’ll also be able to interact with GT6 via smart phone, tablet, and PC, though the details are still scarce. What about damage and cars that aren’t the Nissan GT-R? We know as much as you do. The fact that damage isn’t shown in the trailer at all doesn’t exactly fill us with confidence, though. We’ll be able to find out in July when the demo is released at the start of this year’s GT Academy. Hopefully the roster of automobiles is a bit more balanced as well. 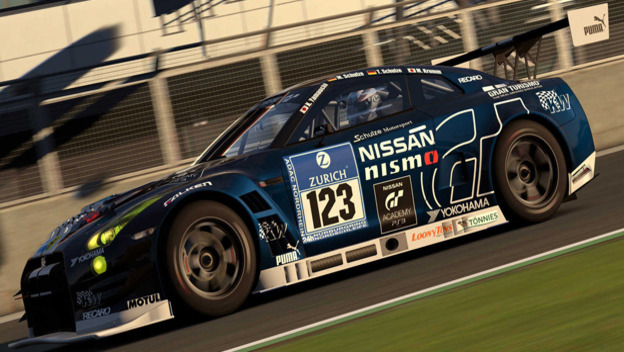 For more news on Gran Turismo 6 stay tuned to CheatCC!